Matt Condon has had a passion for boating and fishing since 1985. His 30+ years experience listing, selling, and operating yachts gives him the expertise to understand what clients truly expect from a great yacht broker. Matt’s goal is to exceed that expectation every time. • Creativity – Matt looks at every issue from a fresh perspective and asks how can we make this work in everyone’s best interest? He feels it is his duty and responsibility to find ways to improve the yachting experience for all. • Experience – in 30 years Matt has sold, delivered, or surveyed every yacht brand including; Viking, Sea Ray, Hatteras, Tiara, Marquis, Carver, Cruisers, Cabo, Regulator, Princess, Feadship, and more. 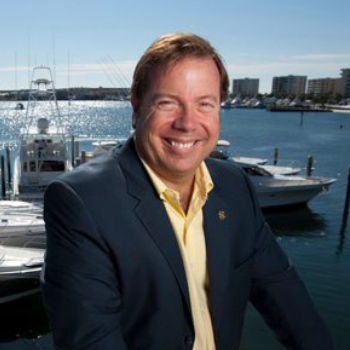 Matt’s long time connections with yacht builders, engine companies, marinas, yards, and specialized repair experts gives his clients access to the best resources. • Integrity – above all else, Matt makes trust the foundation for everything – in business and in life. Matt is dedicated to lifelong training. He started his first yacht brokerage business while still in college and has been in “school” ever since. In 2005, he obtained his USCG Captain’s license. 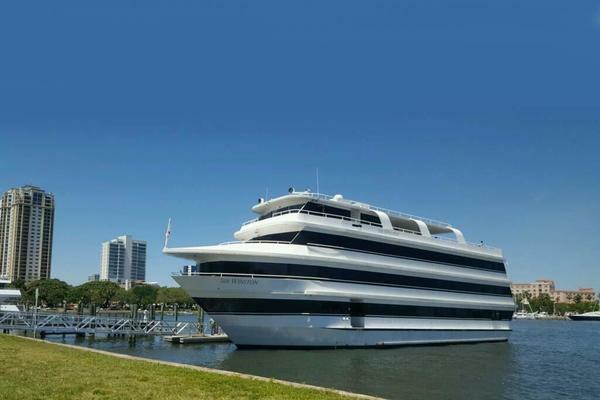 He has been certified by the following manufacturers; Viking Yachts – master’s program in 2007 and 2011, Cruisers Yachts, Tiara Yachts, Marquis Yachts, and Carver Yachts. In 2009 he received his Certified Professional Yacht Broker (CPYB) designation. Matt was born and raised in New Orleans and now lives in Destin, Florida with his wife Kendra, a prominent family law attorney, and their 2 dogs; Scout and Capt. Morgan. In addition to yachting, Matt’s other passions are blue water sport fishing and driving fast. Matt has won or placed in the top 3 in every Gulf Coast billfishing tournament. Also, he is the Chairman for the Porsche Club of America – North Florida Regions’ high performance driving education (HPDE) activities, and can be seen at tracks throughout the region driving #981.